Corrective Integrated Neuro-Kinetics — is a revolutionary program that transforms the way the body moves and behaves from the inside out. When we are born our movements are natural and effortless but by adolescence to early adulthood most of our bodies will transform into one of 8 main structures: Classic Sway Back, Compensated Sway Back, Classic Flat Back, Compensated Flat Back, Classic Kyphosis-Lordosis, Compensated Kyphosis-Lordosis, Classic Military, and Compensated Military. These types are recognizable for their poor posture, uneven muscle development, impaired athletic performance and weakened areas prone to pain and chronic injury. We blame this on genetics, “I have a big ribcage,” to “My mother has bunions, they run in my family,” and “I don’t gain muscle,” or “I can’t do that exercise it gives me bulky quads.” Yet children don’t have bunions and most of their ribcages look the same. If you look back at early childhood photos you will likely see an image of yourself with a straight back, strong knees, a normal ribcage, and an all over normal body shape. In short, you will see yourself with ideal structure. You may have attempted to correct these weak areas trough fitness programs or physical therapy and found that despite some improved muscle tone you still look the same and your injuries come back or appear in other areas. This is because fitness programs and physical therapy cannot change body structure. But far from accepting your structure as permanent, it is important to understand that you make your body structure, and you can change it once you understand that body structure is simply a collection of energy lines. 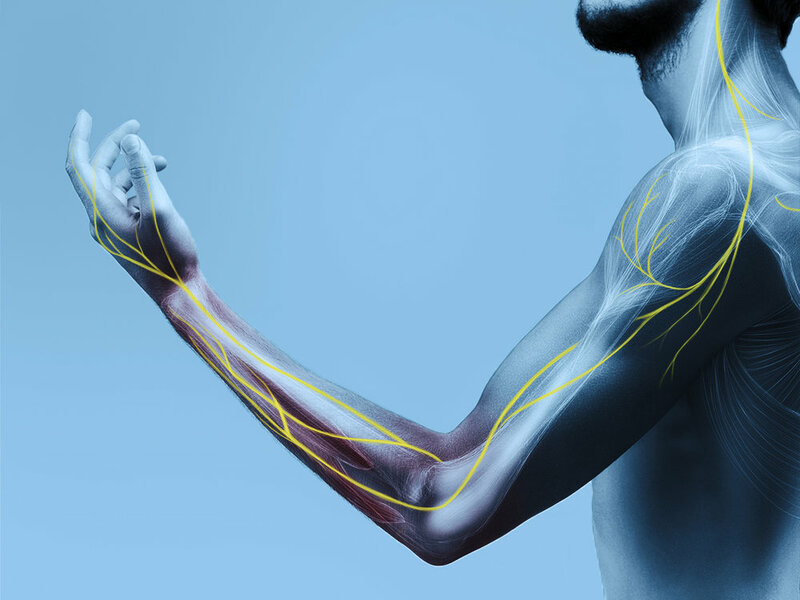 An energy line is a sequence of nerve impulses along a given path that tell the muscles they touch to engage in the direction and angle of that path. Energy lines are reflexes that occur with little awareness by the person. Gradually these energy lines shape the body by contouring muscles and pulling bones into the alignment of the energy lines. We recognize these shapes as structures or body types. When we are born we have ideal energy lines creating functional movement patterns and proper support. Overtime, new energy lines develop from social mirroring (either familial or communal), improper sports technique, hypermobility syndrome, and repeated unnatural activities (prolonged sitting, computer use, texting, etc.). As we perform more unnatural activities and less natural exercise (i.e. outdoor play not leaning over a treadmill) we see more of these dysfunctional energy lines and at an earlier age. Fitness programs and traditional physical therapy focus on individual muscle engagement dividing the body into sections with little thought to direction, cohesion, the brain, and reflex. You may have heard advice such as “we need to strengthen your VMO to reduce your knee pain,” or “we need to strengthen your core to reduce your back pain.” Little thought is given to why someone’s knee or core is weak to begin with. Even less attention is focused on coordination and how these parts work with the whole of the body in every day life. Training a muscle to engage in isolation will not teach it to suddenly be useful when you are sitting at your desk or walking down the stairs. If the body were able to do this, the muscle would never have been weak in the first place. The CINK method focuses on the nerves where the actual problem lies and uses the breath as a mnemonic device to build positive reflexes and energy lines in the body. These energy lines will return the body to ideal structure while alleviating pain and chronic injury, boosting athletic performance, improving posture, and enhancing desired body aesthetics. Havilah is a Master Pilates instructor with over 15 years of teaching experience. She first began taking Pilates at 12 years old. At 17, She received her first Pilates certification from Diane Diefenderfer in 1997. Diane is the head of University of California Irvine's Pilates department, a former principle dancer for Balanchine and personally certified by both Ron Fletcher and Romana Kryzanowska. Havilah then attended advanced teacher intensives with Ron Fletcher (creator of the West Coast method and personally trained by Joseph Pilates). In 2000 Havilah completed a level 5 East Coast certification from Jill Cassady, who was privately trained by Romana Kryzanowska (the inventor of the East Coast or Classical method and personally trained by Joseph Pilates). Havilah then rounded out her training by advanced teacher intensives in the Physical Mind method with regular PMA presenter Jillian Hessel. The breadth of Havilah's training (all from private instruction), gives her a unique understanding of Pilates methodology and Joe's original intent for each exercise. Havilah also has a lifetime of ballet experience from Cascade Ballet Centre, Lynn Marchant's Russian Ballet Academy, and Ballet Pacifica. This is crucial as many Pilates exercises were created from Joe's work with Balanchine ballet dancers and proper dance technique is vital to fully understand the movement. Havilah has utilized her extensive training in Pilates and dance as well as work with prominent physical therapists and Osteopaths in New York to create CINK, Corrective Integrated Neuro-Kinetics. CINK is a revolutionary program addressing the root problem of chronic pain and repetitive-use injuries by changing the firing patterns of the motor and sensory nerve lines. Havilah has used to CINK to treat chronic injuries and pain ranging from: migraines, knee injuries, hip pain including labral tears, disc disorders including herniation, foot pain, frozen shoulder, scoliosis, arthritis, nerve damage, and hypermobility syndrome, as well as improve the performance of professional dancers and athletes. Linda began her dance career studying all forms of dance including Broadway dance with Danny Lockin (who starred as Barnaby Tucker in Hello Dolly on Broadway and in the movie), and classical ballet as a Principle dancer of the Los Angeles Junior Ballet under the direction of Paul Petroff and Irena Kosmovska. Recurrent ankle and hip injuries forced Linda to end her professional career early and led her to open Cascade Ballet Centre under a comprehensive Ballet program combining Cecchetti, Bournonville, Imperial Russian, and Balanchine technique with a strong focus on injury prevention. Linda has received extensive education in the movement arts earning certifications in West Coast (under Diane Diefenderfer and Ron Fletcher), East Cost (or Classical Pilates), and the Physical Mind method of Pilates under PMA Presenter Jillian Hessel. In 2003, Linda received Gyrotonic certification under Julio Horvath himself, the creator of Gyrotonic. Linda has used this foundation to successfully operate Pilates and Gyrotonic studios in Beverly Hills and New York. Linda has continued to be progressive in the movement arts by becoming certified instructor in CINK (Corrective Integrated Neuro-Kinetics), a program that transforms the energy lines of the body to correct dysfunctional movement patterns and relieve pain. To date Linda has used CINK to successfully treat clients with a host of issues ranging from: migraines to neck pain, frozen shoulder, degenerative diseases of the spine including herniation, scoliosis, labral tears, hip replacements, hip flexor pain, ACL tears, plantar fasciitis, muscle strain, tendonitis, arthritis and edema. Linda also uses CINK as the foundation of movement to enable professional ballet dancers, professional athletes, and “weekend athletes” to perform at their best. But beyond Linda’s considerable experience is her unique ability to teach and to inspire those students she serves to reach beyond their own perceived limitations. CINK is not a lifelong program. Clients are not bound to continual lessons to maintain results. Instead, we give you the guidance and training to return to whatever activity you love but with a body that is more responsive to the positive effects of that activity.